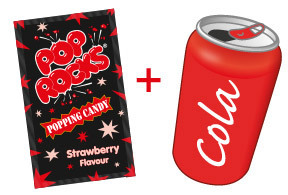 The rumour got started that POP ROCKS®, because of the carbon dioxide in the product, would fizz up and when you drink it in conjunction with a can of soda they would explode in your stomach. The rumours became so bad that the FDA even set up a hot line in Seattle (WA) for people to call to dispel the rumour and assure parents that the candy was safe for children and it would not cause the stomach to explode if mixed with carbonated drinks. If you want to know if he really exploded when he drank soda and ate POP ROCKS®, the truth is that he did not! In fact, the actor who played little Mikey lives today in a completely unexploded form in NY. Which gas is used in POP ROCKS®? Carbon dioxide, the gas used in sodas worldwide. A pouch of POP ROCKS® contains less carbonation than half a can of soda. 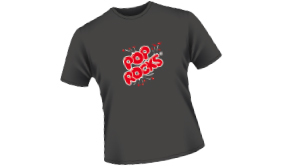 Who do I contact if I am interested in licensing thePOP ROCKS® brand? Please email info@zetaespacial.com or call (011) 34 93 588 76 77 in Spain. The brand POP ROCKS® is synonymous with popping candy and it is the original brand. POP ROCKS® has one of the highest brand recognition levels in the candy category. POP ROCKS® is not only the original brand of popping candy, it is the promise of a unique experience. Kids and teens are entertainment oriented, constantly searching for products that are fun, different and exciting. 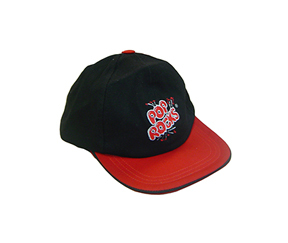 POP ROCKS® is a vintage brand that can develop new markets and sales channels for many different products that will benefit from a close tie with a trusted name that sparkles with fun and energy. From fashion accessories to stationery, from toys to costumes, from bath sales to footwear, whatever your business is, we can make your sales explode. The primary source of information about the allergen status of our products is the labelling (ingredient statement and allergen statements, if any) on the retail packaging in which the product is sold. Consumers should review the ingredient statement to ensure a product does not contain ingredients of concern. Our products may contain a gum base (soy) or milk products so consumers should always read the labelling for detailed information. POP ROCKS® packages do not contain peanuts, tree nuts, eggs, fish, shellfish, wheat or gluten. Most of our items have a shelf life of 36 months, but some products have a shelf life of 18 months. The primary source of information about shelf life of a given product is the marking on each retail packaging.